Certainly it seems that contact-less card payment systems are on a steady expansion in terms of usage. 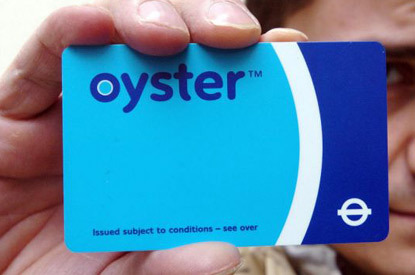 It seems that the original RFID (radio-frequency ID) chip built into oyster cards is now being upgraded to work with the new 'near field communications' (NFC) technology which looks like it is going to be widespread in a few years time. Amazing to see in almost real time how technological breakthroughs lead to new ways of getting your message and brand across to customers. Newer PostOyster holders and wallets - digital, screen or litho printing? Older PostMicro fibre cloth - amazing stuff!